Henstone Distillery are hosting this years’ Burns Night Supper at the Oswestry Cricket Club on Friday 25th January! 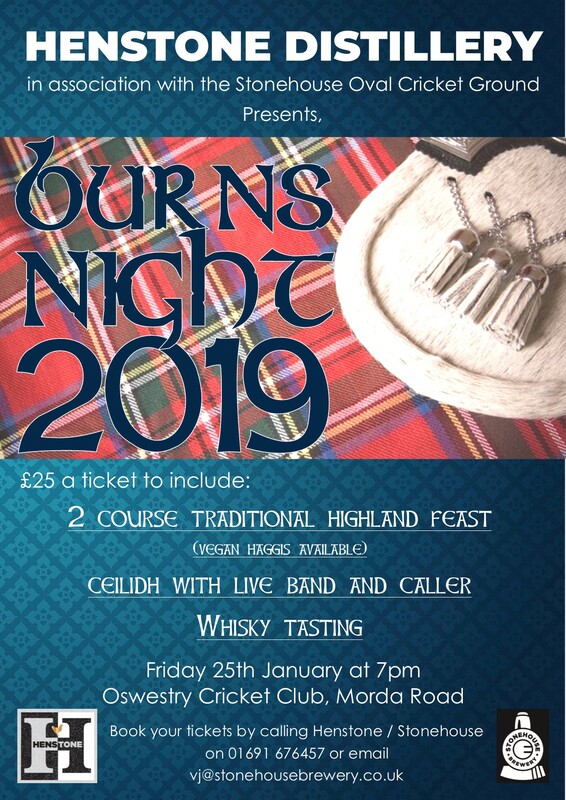 This is going to be a fantastic evening of traditional Scottish food, whisky and dancing. Fantastic vlue at £25 a ticket, this will be a night you won’t forget in a while! Contact VJ on 01691 676457 or email vj@stonehousebrewery.co.uk to book your tickets.